As a Nurse with a strong interest in Massage and Holistic Therapies, Andrea brings a unique combination of skills and talents into the service of her clients. Andrea was born and raised in Carson City, NV. She graduated from the University of Nevada, Reno with nursing and biology degrees, and received her Masters degrees in nursing and healthcare administration from the University of Phoenix. Andrea's interest in holistic therapies and healing was an inspiration to attend the Bodhi Tree School of Massage. 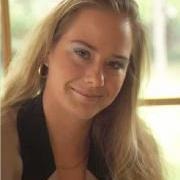 Andrea’s massage specialty is therapeutic massage and fascia work. She enjoys working with clients of all age groups and health issues. In 2011, Andrea received training in facilitating Yoga Nidra Meditation directly from Yogi Amrit Desai. Andrea is also certified as an Aromatherapist. She does therapeutic aromatherapy and makes blends to suit individual needs for internal and external issues. Additionally, Andrea is a Level 2 Reiki practitioner. As founder of Sierra Nevada Holistic Services, LLC, Andrea’s vision is to create a holistic wellness center. Through coordination of care/services meant to combine eastern and western medicine/wellness philosophies into a more integrated lifestyle, clients are encouraged and enabled to live a life of integrated wellness within their definition and abilities.